Like previous days, our team had an early start; at 6:00am our team took Sofie to line up for racing. Even though prototype races started at 9:30am, we lined up early to get near the front of the queue to ensure we would be one of the first to race. Despite our very early wake-up, there were a few teams in front of us in line. 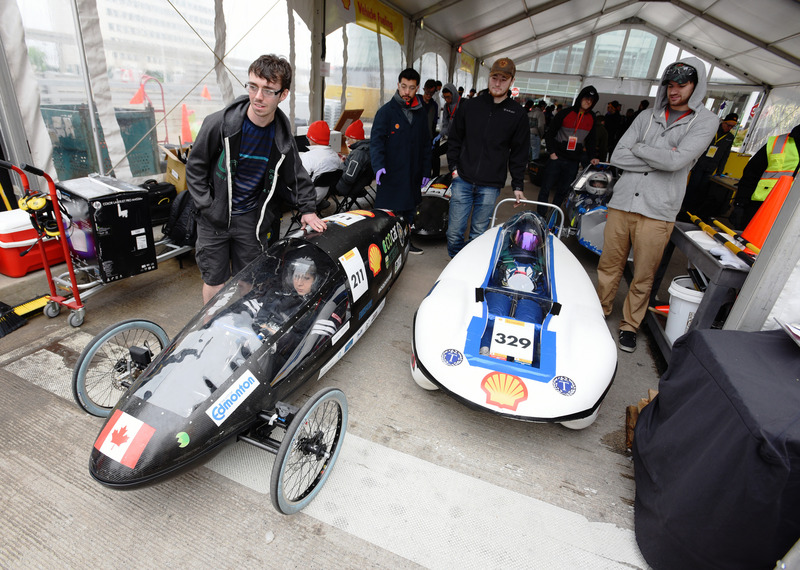 In line, we conditioned our fuel cell (similar to how an athlete warms up before a race or game, our fuel cell performs best after having been running for a bit) because it allows the membranes in the fuel cell to become hydrated. Our team made significant changes to Sofie after racing her yesterday in order to improve our efficiency score. We put in a new gear which fit less tightly to lower friction and waste less energy, and we also modified the braking system so that the brakes did not rub against the wheel as much when not in use. 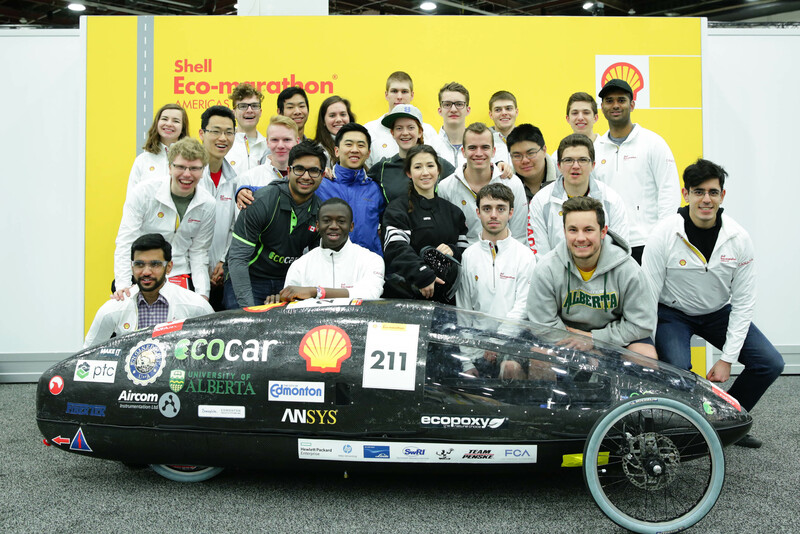 We also improved the efficiency and performance of our fuel cell through an air starve and more conditioning, as well as optimizing our hydrogen purge strategy. We were confident these modifications would significantly improve Sofie’s performance, perhaps allowing us to propel ourselves to first place on the leaderboard. As the racetrack opened up for the prototypes, our team spread around the track in anticipation of Sofie’s run. She came whizzing around the first lap, and at a much higher speed than yesterday due to the modifications made. However, after a couple of laps Sofie coasted to a stop after going over a bump. We believed this issue was due to the hydrogen safety board. We double checked all of our emergency stops, hydrogen system for leaks, and were unable to find any issues. We couldn’t find an issue, and we lined Sofie up in the queue to race again. Side story: our team quite enjoyed watching the other cars race. This year there were multiple collisions or close calls in the final turn of the course. It was a sharp turn with a steep hill to follow so the vehicles tried to keep as much speed coming out of the turn as they could. This even lead to two prototypes colliding, with one of them smashing into the side wall while the other prototype did a complete roll-over. We all held our breath for a second, not sure of the damage to the driver, but thankfully there appeared to be no injuries as they quickly got out of the car. The DWC (Driver’s World Championship Regionals) that happened near the end of the day also had some scary collisions due to the slick conditions and high speeds of the UrbanConcept vehicles. It was quite an exciting race. Someone tried to cut Sofie off and then flipped! Anyways, back to Sofie: our 2nd attempt was an eerily similar story to our first attempt… in exactly the same spot Sofie rolled to a stop. We were still unable to figure out what the issue was with they hydrogen safety board. We again lined Sofie up in the queue, and were working on trying to figure out the issue while in line. 3rd attempt: almost the same story, except this time we coasted to a stop about 10 meters ahead of where we stopped the last two times. 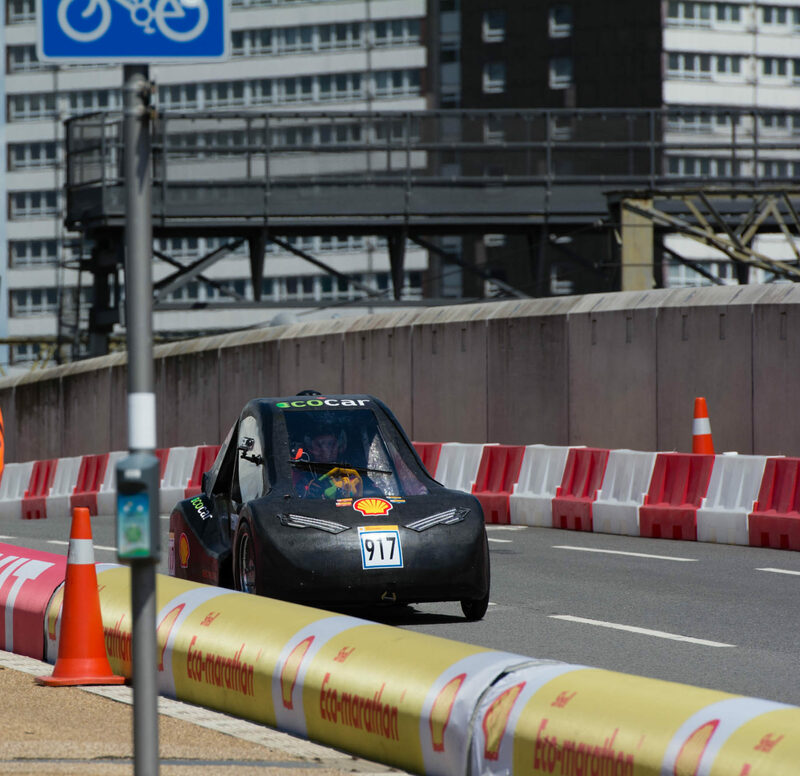 With little time remaining before the track closed for prototypes, we raced Sofie back to the queue, but after a few minutes of waiting in line, we were turned away because there was no more time for us to race. Disappointment hung in the air as we rolled Sofie back to our paddock. After a brief team meeting, our team began packing up our trailer, cleaning up our paddock, and getting some lunch. We think this board issue might have stemmed from moving this board from Sofie to Alice for tech inspection yesterday, and then putting it back in Sofie to race. All in all this competition was an incredible learning experience for us and we were so proud to see Sofie run and put a score on the leaderboard yesterday. 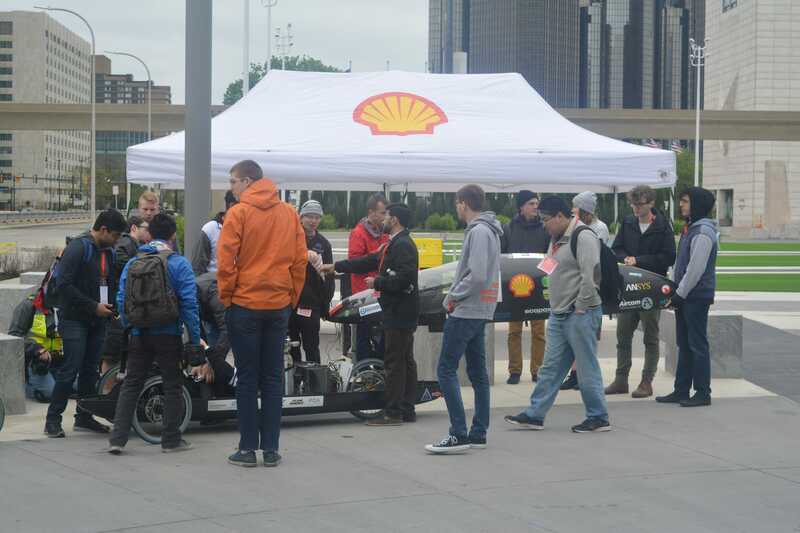 This was the first competition for many of our team members, and I think this will prove to be invaluable experience for the future and into next year’s competition. 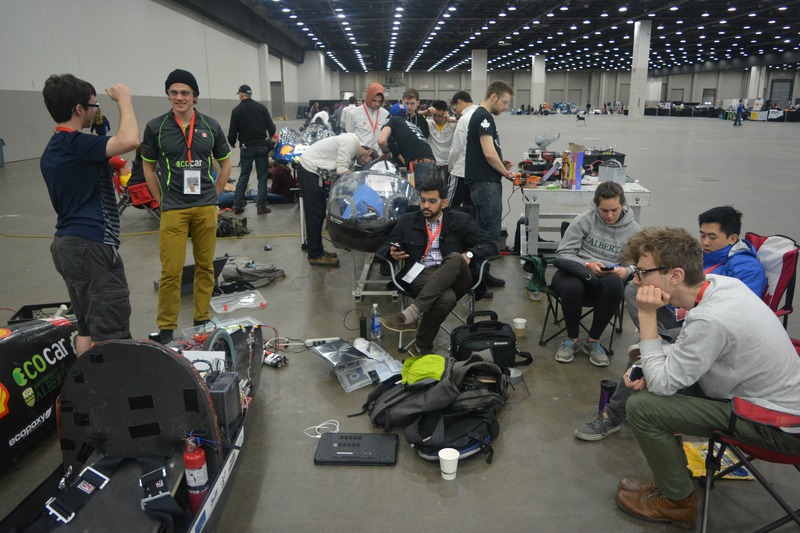 After packing up most of our paddock, our team took a bit of time to recharge before the awards ceremony. 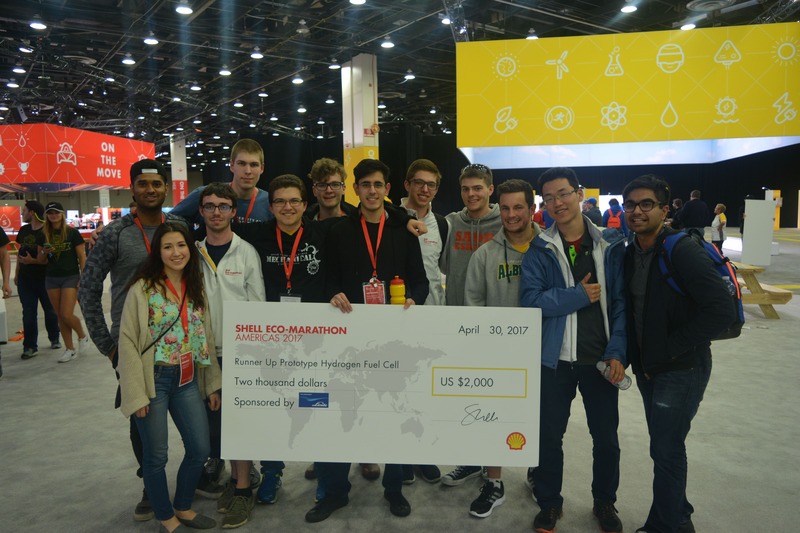 We were awarded $2000 for our 2nd place finish in the Hydrogen Prototype Category, and got a team picture with our cheque and trophy. Afterwards, we finished packing the trailer (and a few of us had a dance party in our paddock), and then headed off for a team dinner to celebrate the hectic, sleep-lacking, high-pressure weekend. Next PostNext Canada Day, Canada SEMA Teams!